Yard Sale Pickups....for only $4!! Here are some key cards I found in a box of cards I bought at a local yard sale. I paid only $4 for the box of random cards. There was mostly baseball, but golf, a few basketball and football and even Bench Warmer cards were there to be found. Overall there were probably about 300 cards. I think I made out well. Also got a Bo Jackson and Frank Thomas Topps rookie cards. What are your thoughts on my pickups and have you ever come across a good bargain deal at a yard sale? There is just something about the NFL that makes it my favorite sport. Don't get me wrong, I do watch baseball time to time. And a little basketball. I am not much of a hockey, racing, golf or bowling (other than playing it) person. The NFL is the only sport I can sit and watch an entire game of anymore. I don't know if its because I played it or grew up watching it...but I love the game. And because of this with the NFL season upcoming and the start of the preseason is soon...I thought I would share my opinions of how I think the divisions will break down and who will win each. The Super Bowl champions come into this season better and more healthier than the last. The defense will be better and even though the Giants lost Jacobs, Manningham and a few others they got better through the draft replacing those players. Eli Manning had a huge season and there shouldn't be any reason why he shouldn't have another with Nicks and Cruz. The Giants also added weapons in Tight End Marcellus Bennett and rookie Wide Out Reuben Randle. The running game should be better with Bradshaw healthy and the surprise first round drafting of David Wilson, but the one position they didn't improve on was the offensive line. Hopefully someone will step up. And as always, the Giants D should be tough with the only key losses being CB Aaron Ross and DE Dave Tollefson they should be able to pressure the qb as always and with the return of Terrell Thomas and possibly the other starting corner in Prince Amukamara who now has a season under his belt the Giants will be tough to beat as they try to get back to the Super Bowl. The "Dream Team" comes into the season more prepared after playing together after a year. As last season went on the team seemed to gel better and they went on a winning streak and almost snuck into the playoffs after a rough start. Lesean Mccoy turned out to be a tremendous weapon in Philly's run and pass attack. Michael Vick still has a lot to prove and Desean Jackson will try to prove himself as well after a big contract this past offseason. Philly added leadership to their D this year after adding Demaco Ryans who should shore up their linebacker core which lacked last year. Overall there are big expectations this season for the Eagles and Andy Reid really needs to make sure this team comes together and makes some kind of run or Philly fans will be calling for his firing. Dallas comes in after a quite offseason, but a jump up in the draft to get Morris Claiborne to help out their weak secondary. They let go Terrence Newman to make room for Claiborne. Dallas' D looked good under Ryan's defensive scheme with only the secondary being the weak link. However, I don't know if they have improved enough on the back end to make a difference this season. The offense got a boost last year when RB Demarco Murray went on a tear. But when he was lost for the rest of the season, the offense seemed lost. A healthy Murray would be beneficial for them. However, a troublesome Dez Bryant is not. He has a ton of talent and could be a Top 5 receiver in the league, but with him getting in trouble it not only hurts him..but hurts his team and teammates. Overall With a talented offense, a good defense, Dallas could scare some teams. But once again it all falls on Tony Romo's shoulders in December. Can he make the right throws at the right times and win in a month that he normally struggles in? I think Romo is a good qb and will win a couple of games down the stretch, but I don't think the team overall is there quite yet for a Super Bowl run. A ton of changes in the offseason and it all starts at qb. The Redskins rotating qb situation last season with Beck, Grossman and others has come to an end and the Redskins got their fan base excited by drafting Robert Griffin III in this years draft giving up a ton of picks in exchange for him so they are hoping this is the guy that will lead them back to the Super Bowl. Also on offense they added the talent of Pierre Garcon and Josh Morgan to their WR core and they already have a good running back in Roy Helu who broke out towards the end of the season. The defense was stellar last year and now they have new aqusitions in the secondary but I don't think there is enough there yet. London Fletcher coming back is a huge help and with talented LB's of Ryan Kerrigan and Brian Orakpo the defense should be good at getting pressure on the qb's. Overall, I think the Redxkins and Mike Shannahan have a great start..but it will take another year or two to put it all together. Griffin has a ton of pressure on himself and I think he will handle it okay. But playing in the NFC East against some of the defenses will be rough for a rookie. What do you guys think of my predictions? Did I rank a team too high? Too low? Give me your thoughts! Box: Still love the design. Peyton's replacement is a attention grabber. The box lets you know the hit amounts per box and it has a clean design. Wrapper: Just like the box..I would definitely pick up pack or two. 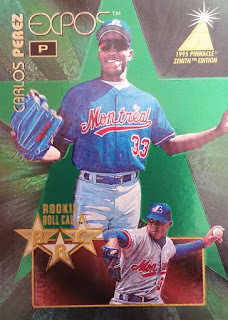 Base: Panini cleaned up the base card design this year and something spectacular came out. Best base design I have seen in this product! The rookie cards match the base. But with this years Prestige...the rookies are in their NFL uni's! 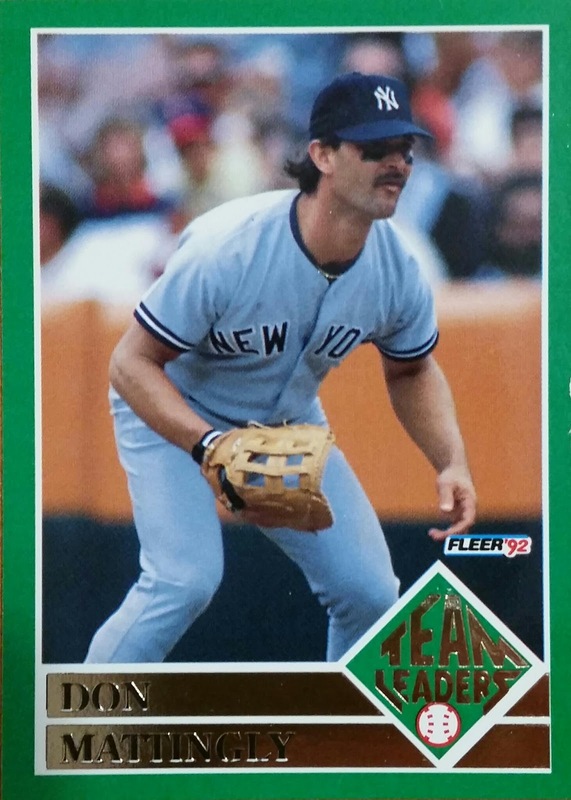 When it comes to retail...I go for products with good rookie cards in them and a decent amount of them. With Prestige having one per pack..you can't go wrong. And they are nice looking. Inserts: And another reason to buy this product is for the amount of insert..roughly one per pack...and that also adds to the blaster box value. Overall: For $20 a blaster and around $3 a pack, You get a good mix of rookies (1 per pack), and inserts. Sometimes you can get lucky and land an auto or jersey. I have seen it on other sites. I wasn't as lucky, but the cards were so nice it didn't matter. This is still one of the hardest products to find.Very short printed!! Upper Deck is releasing a $200 pack product for their Marvel lineup called Marvel Premier, which is set to be released on October 2. They have now raised the bar for Entertainment cards. One card in the pack will be= a premium base card on thick card stock numbered to just 99. The base set is only of 50 cards. 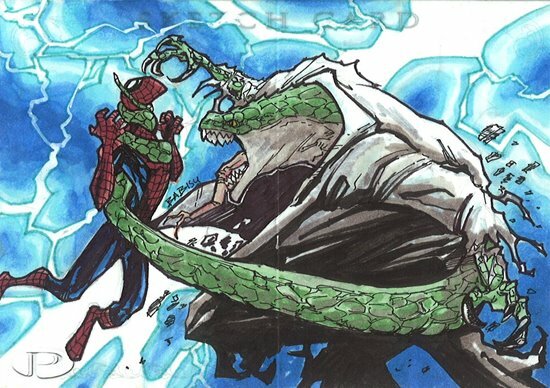 The second card in the pack will be a 1/1 sketch card from a Marvel artist. The third in the pack is one of the most exciting cards from the product. It could be a dual-, triple- or quadruple-hinged sketch card.Upper Deck has yet to release images but will soon. 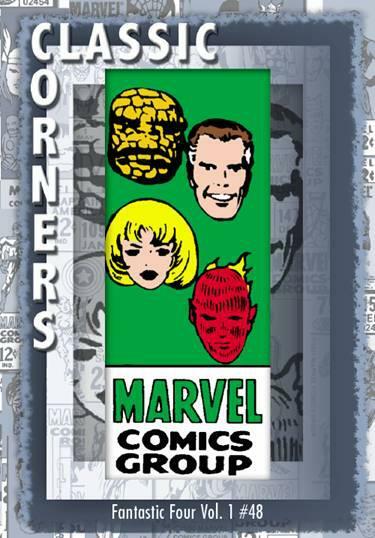 The fourth card could be one of the three following: “Classic Corners” card which is dedicated to the best Marvel comic of All-Time or it could be a Shadowbox card (which we know how popular they are in the football card world) or an “Emotion” booklet card by a couple of artists. The images are not many yet. It will be interesting to see how these will go for their collectors. I for one, do not collect Marvel cards, I do like the movies however and will from time to time try a pack, but if I did...this sounds really high end but I don't know if I would pore $200 a pack for it. This product was a ton of fun to open! Surprises around every corner. And it has exactly what I look for in a hockey product in rookies. This is a product that combines many products with some rookies that weren't in their respected earlier products. Now that they suited up, Panini suited them up and made a award winning hockey product. Base: Nice clean design..looks even better in person. I am usually one for action photography..but this design really brings out the players. Rookies Base: Like we said earlier, you get a variety of updated products all in one. Love the Dufex from the Pinnacle. Its a combo of all of my faves in one product! Memorabilia: Dual jerseys..LOVE! And the rookie theme continues throughout this product. Autographs: The autographs look great. It is surprising to land the same player in the box though. These are autos from updated products like Crown Royale (really wanted to land a rookie silhouette those look awesome) and others. Bonus Pack! We landed this sweet auto jersey numbered out of 99 This is a updated rookie auto from Luxary Suite Panini high end brand. There is one bonus pack per box that you can land surprises like this out of! Overall: This product was not only fun and had surprises, but this made me want another box. I highly recommend puck fans and anyone who loves to open cards and try something new to give this box a run. it is well worth the money. We got 5 hits in what is a high end feel product. The product I most sought after when the Football card season started was Prestige 2012 and it did not disappoint me. Despite me not hitting an RG3 or an Andrew Luck base rookie card and my hits not really being top...I still LOVE this product. Box: I love the design. Peyton's replacement is a attention grabber. The box lets you know the hit amounts per box and it has a clean design. Inserts: As you can tell, Prestige has many different inserts you can land. The extra points are different this year but I like the change. A border on the bottom just above the players name that says Extra Points. We landed 2 of the Blue color numbered to 999 and many of the gold. The other inserts look great as well! Especially the Draft City Destinations. Something about it is very eye catching. Rookie Variations: You get one of these per box! And this years is less confusing to figure out which is a variation and which isn't. I like how Panini did a draft pic with their teams jersey as the variation. Memorabilia: You get 2 of these per box. The design is very nice. Really love the Ryan Matthews Prime hit! Autographs: Two autos per box. The Draft City Destinations are signed on-card! Overall: For around $100, You get a good mix of rookies (1 per pack), 2 autos and 2 jerseys, a decent amount of inserts and overall you get a good bang for your buck. Some great finds can be had in Prestige! Panini Redemption Mail day again! Got this sweet auto in the mail. He has a ways to go before he can become a starter for the Jets...we all know Tebow will take over by seasons end..but still a great looking card and is numbered to 49. This is my 3rd redemption card in 2 weeks. They are doing an awesome job hammering them out! I love how huge the signature is on this card. And its on card! Not to mention its a NY Giant. Panini Redemption Mail Day!! Contenders Auto Style! Got this bad boy in the mail after 4 months. I don't mind waiting that long for something this nice! What else should they put into cards for game used? 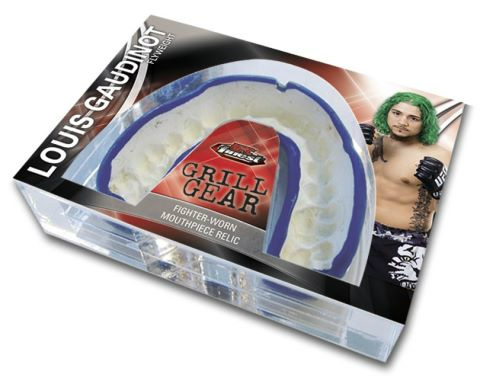 When Topps announced they were putting complete fight-used mouthpieces embedded into the cards in their July release of 2012 Topps Finest UFC . It got me to thinking...what else should card companies give us from an athlete that's game used? First baseball, what about chewed gum..sunflower seeds...pieces of Gatorade bottles or cups. Maybe game used socks??? Disgusting to think about..but companies are putting it all out on the line now! For Football, what about their mouth pieces, hair since there are a decent amount of players who have it long (Troy Polamalu come on! And we can see if he uses Head and Shoulders or not like in all of those commercials), and pieces of hip pads, shoulder pads game used. And for Basketball. Gym shorts, benches they sit on, sweat bands unwashed of course! Wouldn't feel as authentic if it was. That would be a two-fer with game used sweat as well! And finally for hockey..they should include, pieces of teeth (you know we get dino pieces from UD Goodwin Champions they could expand it to hockey where teeth are always lost and we can't get any closer than that), helmet, and pieces of the skates. What do you think?? Would you want a piece of any of these? Labels: Opinion Stories, Sport Card Collectors, What else should they put into cards for game used?